No, not Makenzie! Not yet, but its coming! I don't have a lot of time but I wanted to let you know that we are now pros at sitting in a tin can! 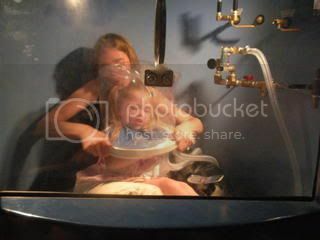 (hyperbaric chamber) We were able to get in 2 times today for a full hour! It dosen't bother Makenzie at all anymore! Thank You Jesus! It is too soon to say but we have already seen some new stuff! Today Makenzie put her arms under her and pushed her whole chest and head up! She was so proud with the bigest smile and a few giggles!!! I am so proud of her and more importantly thankful to God for his grace and blessing!!! To God be ALL of the Glory!!! His timing is always so perfect!!! 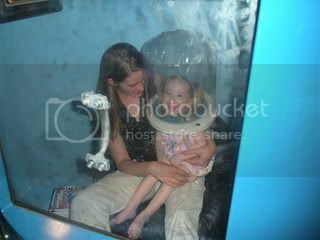 She also has not vomited since we started the HBOT! We go for our feeding clinic eval tomorrow morning! 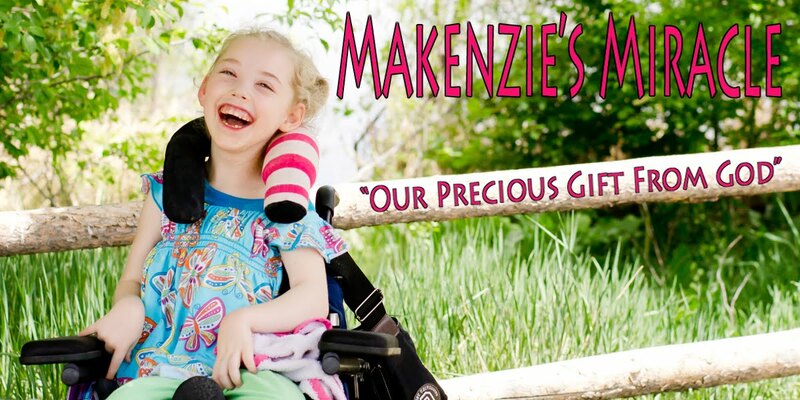 Please pray that God would use theis to move Makenzie forward with her eating! Pray that he would use all of the doctors and therapists to heal Makenzie! Pray, Pray, Pray! This is very important to me and it would be so great to get her off of this tube!!! She can do it! Pray that we can come up with a good plan to get Kenzie back onto bolus feeds in her stomach with out pain and eating more by mouth and being able to decrease her tube feeds! Thank you all for thinking about and praying for us!! Keep praying! God hears and answers! We see it every day!!!! THANK YOU! We are so Blessed! That is wonderful! we have just been approved for our make-a-wish for our daughter! she chose a disney cruise...each state has different qualifications, it really is up to your doctor, so make sure you send the paper to that rehab doctor you love so much so she knows how to answer the questions about Makenzies conditions correctly to qualify for the wish!! It looks like the HBOT thing is working great. My daughter started her first round of suit therapy yesterday. God Bless you and your beautiful girl.